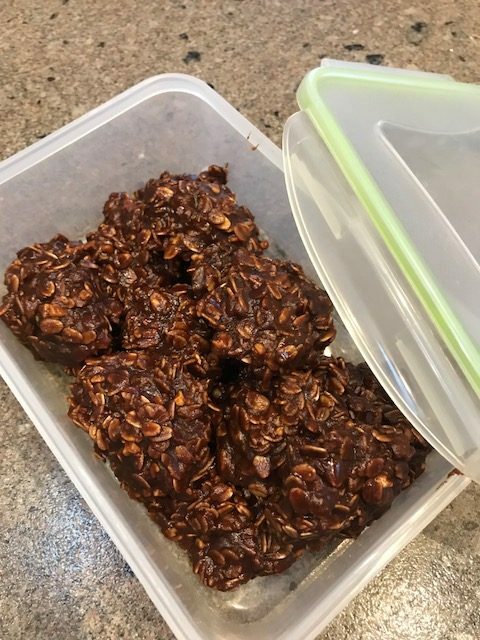 Do you like no-bake cookies? I do, but I haven’t wanted to use the 2 cups of sugar listed in most of the recipes for these! 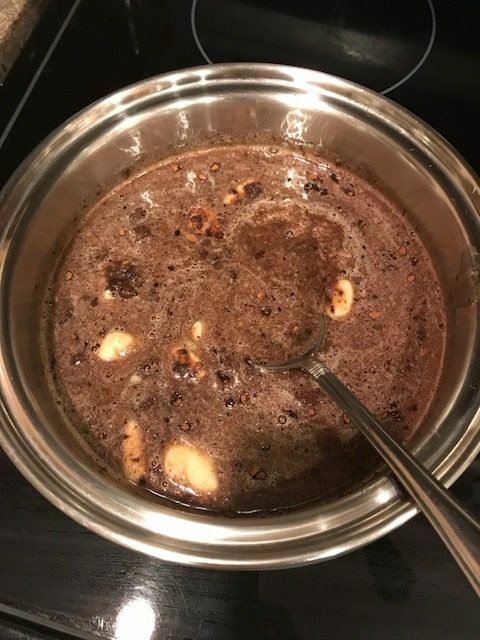 Getting the butter and honey and cocoa and milk to boiling is important as that is what cooks the oatmeal when you add it. 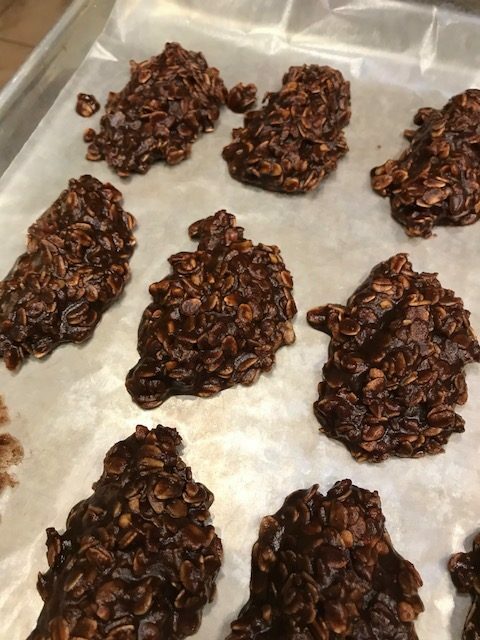 Spoon batter onto wax paper lined cookie sheets and chill until firm. These could certainly be tweaked by adding pecans or almonds, chia or dates, etc. Mmmm… these are my favorite! Good call on subbing the honey for the sugar! Can’t wait to try them! If you make these, I’d be curious how much honey seems right to you! 3/4 cup honey is perfect for us! Good to know! Thank you! !